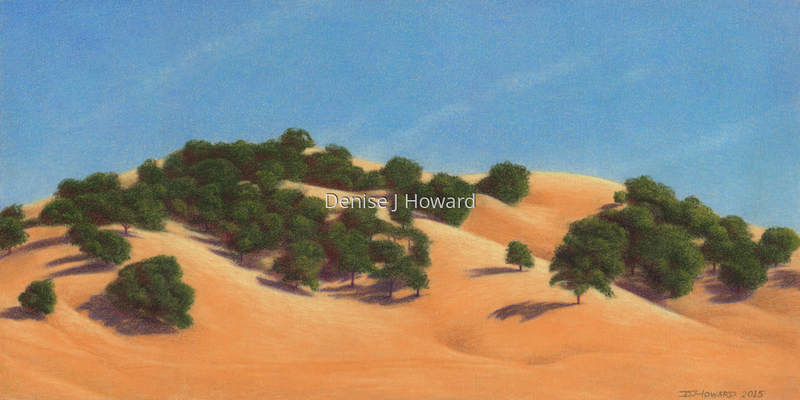 In summer, the hills east of the San Francisco bay area turn a beautiful gold color. I like the contrasts of color and form between the undulating golden hills, the bright blue sky, and the sprawling old oaks. Colored pencil on UArt 600 paper. 5" x 10"8" x 16"